The Chevrolet Volt is the best-selling plug-in car in America but even it's not living up to its original expectations. This year was supposed to be the year of the plug-in car but, as 2012 draws to a close, it looks like the electric car market still isn't fully charged. By the end of 2012, most major automakers will have a plug-in car of some type on the market, but plug-in cars still make up just one tenth of one percent of all cars sold in America. So have automakers gotten ahead of themselves and produced too many? Promoters of electric cars say no. They acknowledge that while there are many types of electric cars out there, they're not available in enough places or in large enough numbers. A big reason for there being a small supply of electrics but many models has to do with regulations in California. Rules there require that automakers that want to sell any cars in that state -- A.K.A., every automaker -- must also sell a certain number of so-called zero-emission cars there. That has led many automakers to produce "compliance cars" that exist solely to meet California's requirements. These cars vary from the excellent Honda Fit EV, which it's a shame they don't sell everywhere, to the truly awful Mitsubishi iMiEV. If those cars only sell in tiny numbers, electric car proponents say, it doesn't reflect the potential market. 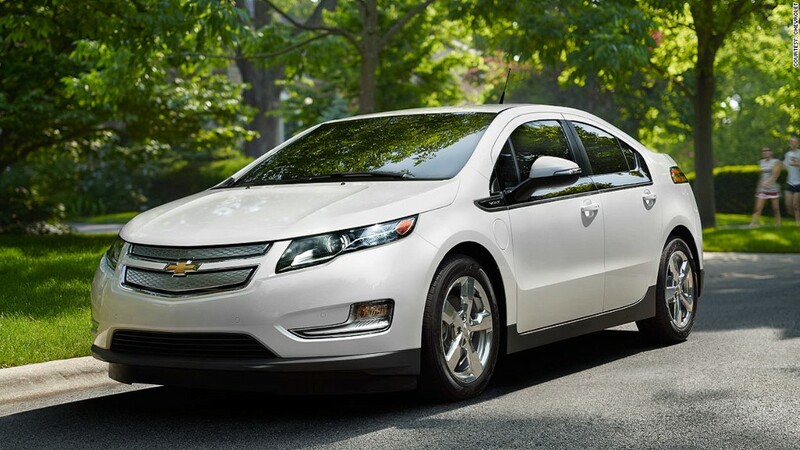 In most of the United States, the Chevrolet Volt and the Nissan Leaf are the only two plug-in cars available from popular automakers. Together, they make up nearly 100 percent of all electric cars sold in America. Beyond that, there's also the pricey Tesla Model S all-electric luxury sedan which is slowly entering the market. "Too many conclusions are being drawn about the potential for EV success based on the sales of a particular vehicle," said Chelsea Sexton, a prominent electric car proponent "The reality is not everyone wants a Leaf or a Volt and not everyone can afford a Model S."
Despite their lock on the EV market, the Leaf and Volt are failing to meet Nissan and General Motors' respective sales goals. GM had once hoped to sell 45,000 Volts in 2012, a number the car is not close to reaching despite being the number-one selling plug-in in America. Nissan, meanwhile, is also not on track to sell the 20,000 Leafs it had hoped for this fiscal year. While many industry watchers have read a lot into those missed goals, the truth is that corporate sales goals are just that, goals. They're not carefully considered realistic projections, said Sexton. "While corporate sales goals may or may not be being met, it's kind of going the way industry veterans have expected all along," she said. In other words, very, very slowly. "I think the market will continue to grow as they become a little bit less of a novelty," said Jeremy Anwyl, chief executive of the automotive Web site Edmunds.com. "But they're not growing at a rate that corresponds to the rate of product introductions." The problem isn't a lack of available products, said Tom Libby, an industry analyst with R.L. Polk and Co. The problem, he said, is that the market just isn't ready for electric cars. Helping the environment is great, but plug-in cars have to make simple financial and practical sense before lots of people will buy them. "People weigh alternatives and pick the alternative that is the most beneficial for him or her," he said. In fact, sales of "alternative fuel vehicles," including hybrids and plug-ins, correlate closely with gas prices, according to Edmunds.com. When gas prices spike, car shoppers buy more electrified cars. That means before plug-in car sales take off the price of gasoline will have to rise sharply or the cost of electric car batteries -- the costliest component of the car -- will have to fall, said Libby. So far, it's not clear when, or if, either will happen. But that really isn't the case, countered Chad Schwitters, president of the board of Plug-in America. In fact, when federal and state tax incentives are factored in, electric cars make economic sense already, he insisted. Besides, he said, financial arguments ignore the other benefits of electric cars beyond fuel savings and environmental benefits. People just aren't familiar with those benefits yet. "You've got better low-end torque, much better responsiveness, it's much quieter," he said. "You've got elements of a luxury car in an economy car." And while he agrees that EV's aren't selling in huge numbers, yet, he points out that hybrid cars, too, had a slow ramp up process. Today, they represent a meaningful but still very small slice of the car market, about 3%. But, even at that, hybrids are still a long way from being considered mainstream, and plug-ins are still considered a novelty. Either way, experts agree, whether it's because electric cars aren't ready for us or we're not ready for them, it'll be a long time before plugging the family car in at night becomes part of America's daily routine.